It's fun to discover all the things that are associated with our astrological signs. Among the many correspondences, specific herbs and plants are connected to the signs of the zodiac. Because herbs are great ingredients for cocktails, we can take this a step further. 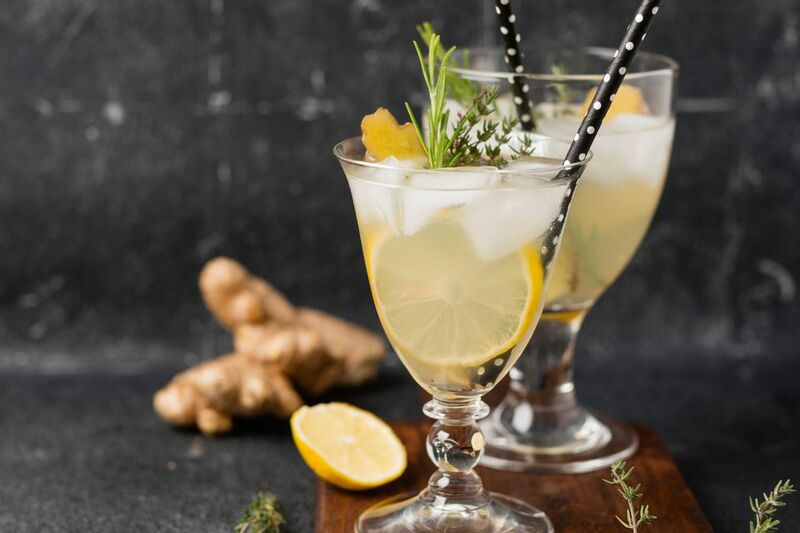 Using the associated herbs and character traits for each sign, let's explore twelve amazing and fresh cocktail recipes that are hand-picked just for you. A very fun bourbon recipe, the Borrachón Cocktail is filled with flavor. It all begins with a homemade pomegranate and rooibos lemonade, then builds on that with an impressive bourbon. We're using rosemary as the Aquarius connection and it comes into play in the most amazing way. Before you mix the drink, you'll lace the glass with burning rosemary. It's a fabulous trick and the recipe should appeal to your desire for originality. Put a spin on the popular Gimlet and mix up the Pineapple and Sage Gimlet in punch form. It would be a fabulous addition to brunch or any small party. Mixing this drink is extremely easy. You'll just combine a nice gin with pineapple juice, add some fresh sage and a little sweet and sour. It comes together rather quick and is a fantastic looking pitcher cocktail. That should be perfect for your Pisces artistic side. Enjoy the perfect pairing of fresh strawberries and basil in this fantastic Union Square cocktail. It's a seductive drink, but there's also some practicality to it, which any Aries can appreciate. The base liquor is a budget-friendly gin that's among the best available. The cocktail requires a little muddling action to extract those sweet fruit juices and herbal essences as well. It's simple, fun, and tasty. Rarely does Irish whiskey receive the treatment it does in the Old Thyme Sour. It's unique, intriguing, and a cocktail you'll come to rely on overtime. The Taurus connection is thyme, which is mixed with cinnamon to create a custom syrup. This accents the herbal liqueurs of St. Germain and Chartreuse. While it requires a bit of patience, we know you're perfect for the job. The Daiquiri-ease is a beautiful cocktail that includes lavender honey and a blueberry shrub. Both of these are easy to make yourself and ideal for that Gemini curiosity of yours. The duality of this cocktail cannot be dismissed either. 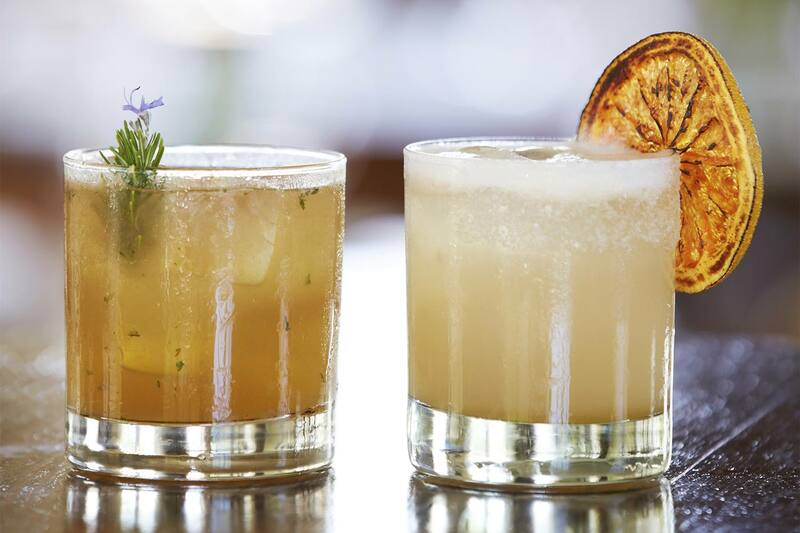 The herbal honey and homemade shrub are the perfect contrast to the rum and sparkling water. It gives the Gemini two common and two unique ingredients to look forward to and the lavender is right up your alley. Summer born and sentimental, you'll love to share the Summertime Fruit Punch Lemonade with family and friends. Though the recipe's written for one, it is easy to make for a group. This spruced up lemonade has everything that's great about summer. Fresh watermelon, sparkling pink lemonade, and a fine vodka do sound great. Yet, when we add a little parsley, your Cancer identity really finds its match. Tarragon is an unexpected ingredient in this Cranberry Daiquiri. It's also ideal for that brave and creative nature we know and love about Leos. This daiquiri is filled with great flavors, including elderflower, cranberry, and lime. Backed up by a fine rum, that tarragon signature will not go unnoticed. Be sure to share, which we're sure you will because that's just the way you are. No frills, no fluff, and a cocktail that is so very Virgo, the Whiskey Smash was a logical choice. It's clean, practical, and you can even remain loyal to your favorite whiskey—though we do suggest bourbon. This is a true classic in the cocktail world and is much like the Old-Fashioned. The Virgo spin comes from fresh mint, which is muddled along with fresh lemon. Top that with whiskey and syrup and enjoy the fruits of your labor. The Aviation Cocktail is a beautiful classic that requires creme de violette liqueur to give it a stunning blue hue. The violet is the one flower that every agrees is perfect for a Libra. The drink is simple; just mix gin, maraschino, lemon, and creme de violette. It's perfectly balanced, which we know you prefer. If you like, you could even harvest the flowers yourself and make a violet syrup. Either way, there is harmony to be found in this glass. Things get just a little spicy for the Scorpio and this should fit your passionate—yet calm and cool—nature. The Coriandrum is a spectacular cocktail and you'll love how coriander sneaks into the mix. This drink begins rather normal. It is, essentially, a Vodka Martini made with an impressive organic vodka. When you add the homemade coriander nectar with an agave base, it goes from good to fantastic. It's a drink you'll want to share. Mix a little cucumber, a bit of sage, and mango vodka and you have one fine Sage Lady. Sage is the inspiration for this Sagittarius-worthy cocktail and it should appeal to your adventurous side. The cocktail is difficult to describe because the flavor combination is uniquely familiar. Maybe you've eaten mango with cucumber or enjoyed cucumber and sage at some point. Yet, when the three come together, it's an entirely new experience. A beautiful way to dress up a glass of scotch: smoke the glass with rosemary. While it is a scotch cocktail, it treats the esteemed whisky with a respect that we know even the most austere Capricorn can appreciate. Rosemary is ideal for this sign and the drink doubles up on the herb. Not only is it used to smoke the glass, it also appears in a homemade syrup. Add a splash of Chartreuse and a healthy shot of whisky and you have one memorable drink.